A leaked report reveals that director George Miller’s film crew compromised fauna and flora in the world’s oldest desert while filming Mad Max: Fury Road, starring Charlize Theron. The report was commissioned by the government in response to claims that the crew had run roughshod in untouched parts of a sensitive ecosystem populated by endangered reptiles and rare cacti in the Namib Desert, according to The Guardian. The Namibia Film Commission, eager to protect Namibia’s reputation, denied the claims in a full page state-run newspaper. 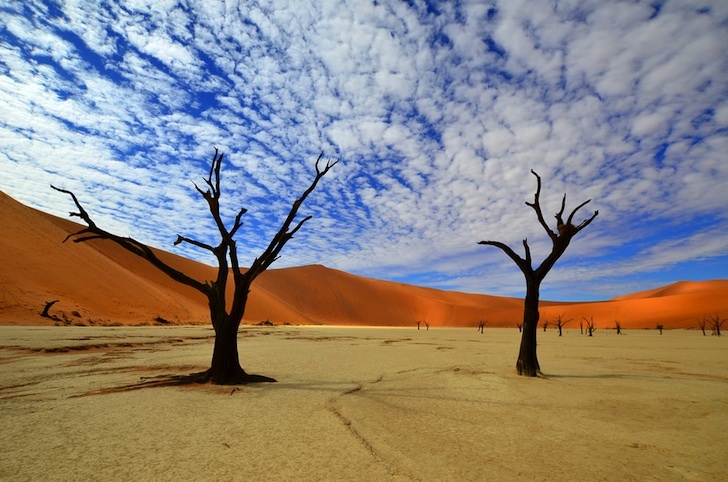 The fourth Mad Max sequel was filmed in Dorob National Park in the Namib desert, which is thought to be up to 80 million years old. Joh Henschel, an independent researcher hired to write the leaked report says public consultation prior to filming was insufficient and that lack of an initial environmental impact assessment makes comprehensive analysis of the damage done difficult, The Guardian reports. But there is evidence that the crew tried to smooth over their tracks in places. Henschel added that the license to film was awarded prior to the passing of new environmental legislation that would have made filming in this location impossible. The film generated more than USD41 million for the local Namibian economy.